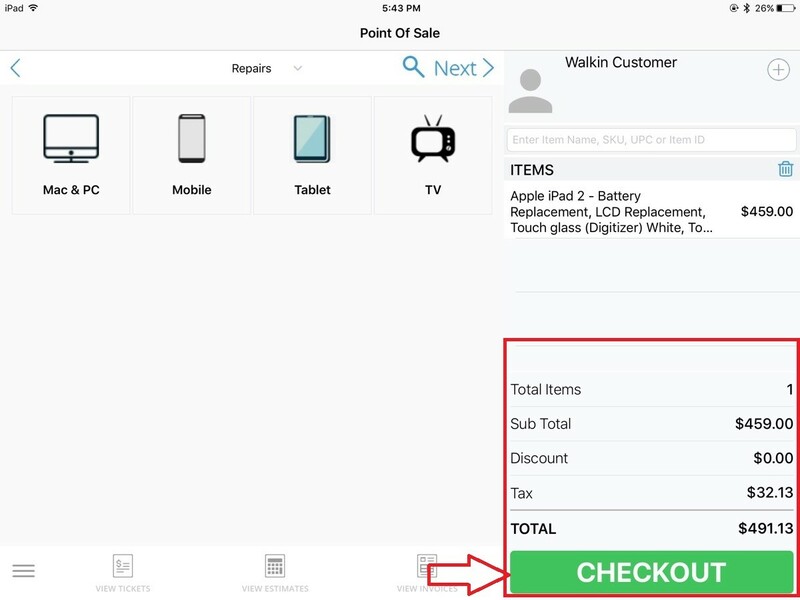 We're thrilled to unveil PayPal Here integration that lets you accept credit card payments using RepairDesk iPAD POS Register. It's the easiest, most transparent credit card payment solution available to small businesses. 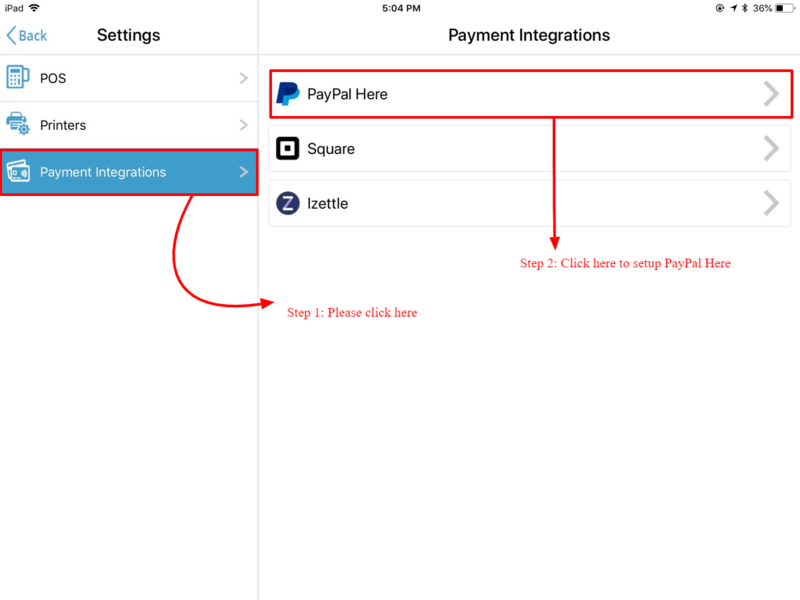 Currently PayPal Here integration is available for merchants in Australia, UK and the USA. 1. To start using this feature head to your RepairDesk account and login. 2. Proceed to Setting >> Integration section. 3. Scroll down to find Paypal Here and select it. 4. 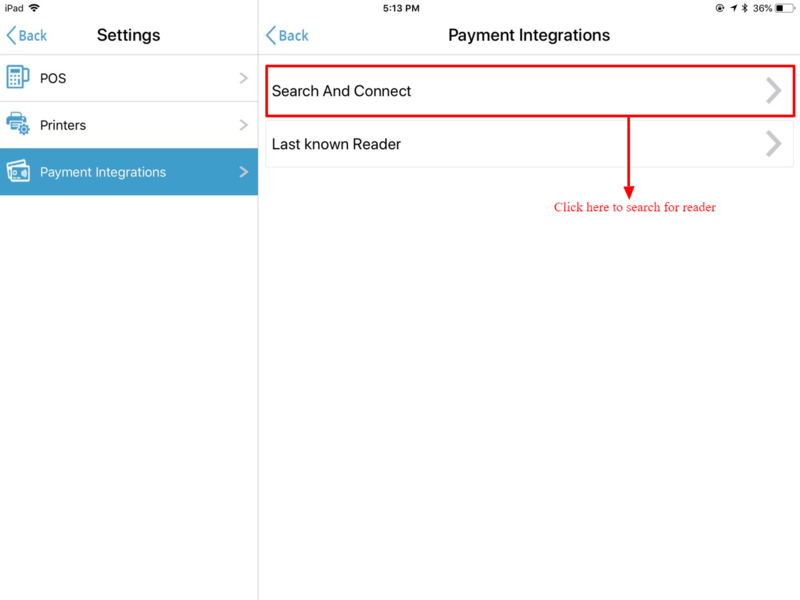 Here you’re shown Paypal Here integration setup. 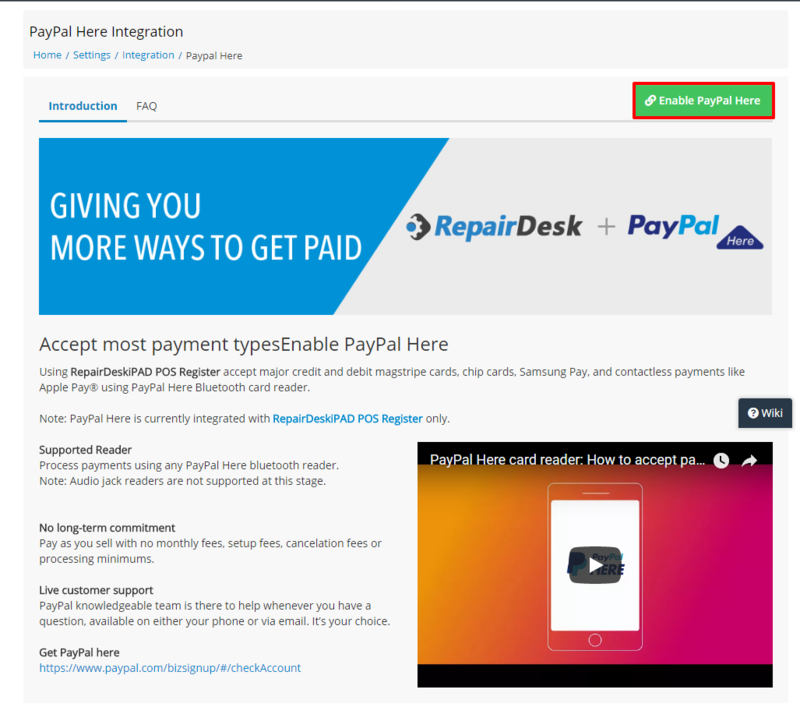 Click on Enable Paypal Here button. 5. A new screen will appear requesting your Paypal Here login details. Enter your email and password and continue as shown here. 6. 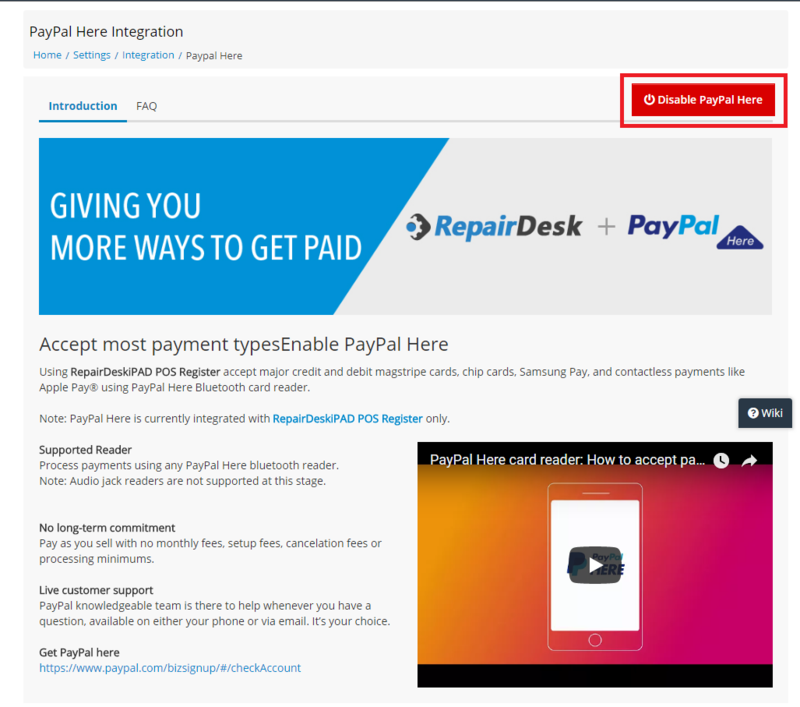 When you are logged in, you can anytime disable your Paypal Here account by clicking on Disable Paypal Here. 7. 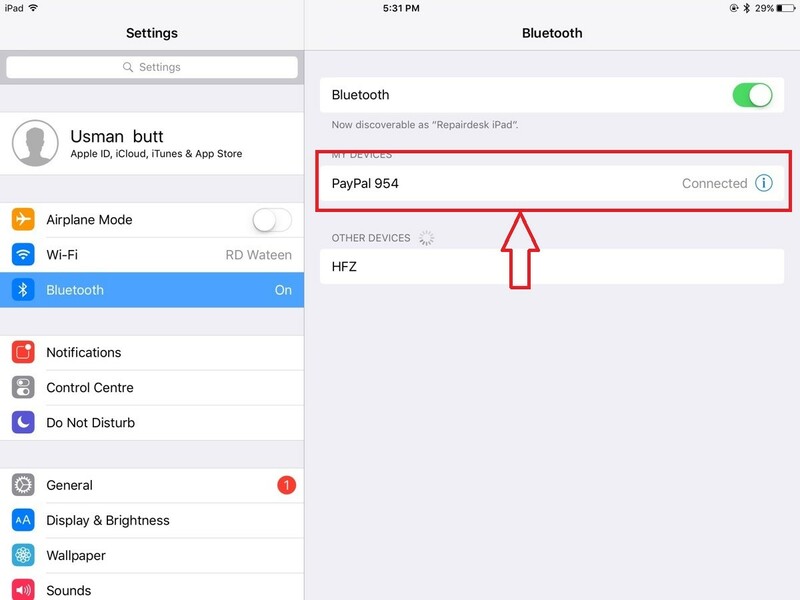 Next, you need to turn on you Paypal Here device and switch ON its Bluetooth. 8. 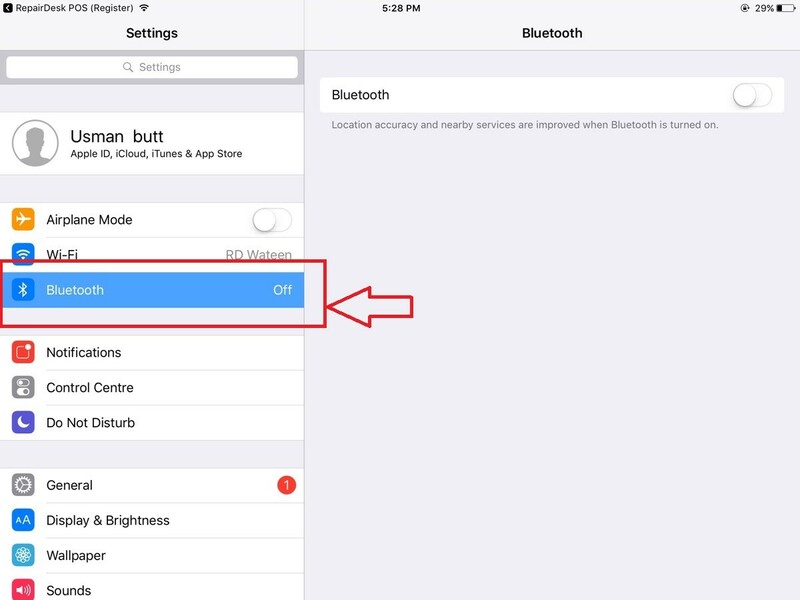 Go to your iPad Settings and scroll down to find Bluetooth, then turn it ON. 9. Scan new devices and Connect to your Paypal Device. 10. 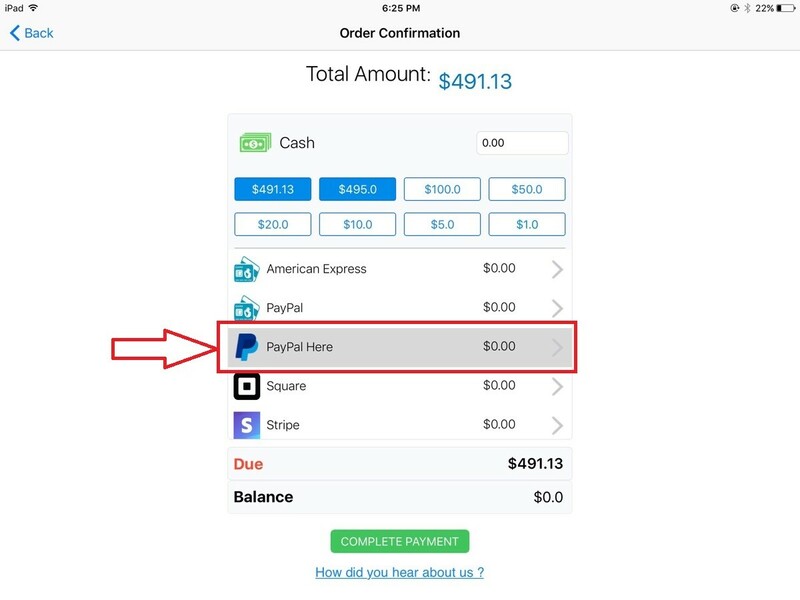 Once you are connected to your Paypal device, go to your RepairDesk iOS app and launch it. 11. Slide left and look for Settings. 12. Select the option of Paypal Here, then choose Search and Connect to search for your Paypal Here device and connect it. Or, you can choose the Last known device too if you have connected before. 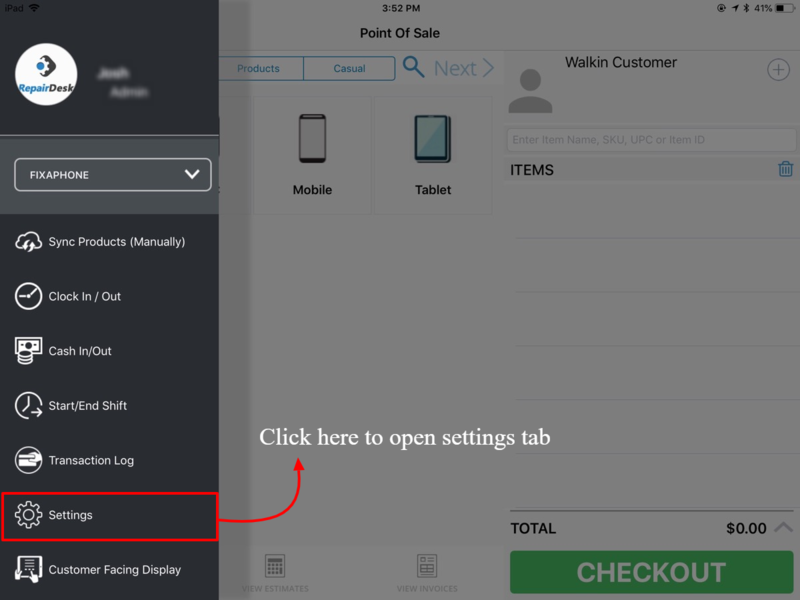 You will get the following pop-up displayed from where you have to select the desired device. 14. When connected device will show a blue light, then select the invoice which you want to pay via Paypal Here and continue to Checkout. 15. 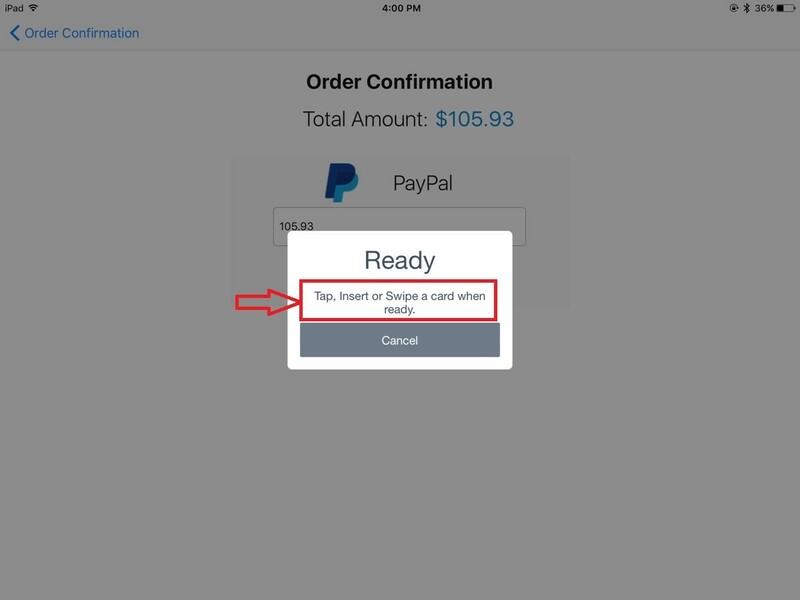 Confirm Checkout and now choose Paypal Here from multiple options of payments. 16. It will process for a sec then ask for the total amount payable. You can also edit the amount here and confirm. 17. You are ready to tap, swipe or insert your MasterCard in Paypal here device. Plus you can also do partial payments. 18. In the end, you’ll be shown the list of all payments done via Paypal Here and in case of partial payments, you can see the balance amount. That’s all about Paypal Here, if you still have any issues, our customer support is always here for you. Q.which PayPal Here Device is supported by Ipad? A.It support PayPal Here bluetooth Device only. Q.In which countries Paypal Here is supported? A. PayPal Here currently supports US, UK, and AU-based PayPal merchant accounts that have enabled the PayPal Here product.